From initial contact to delivery, communication and seeking to understand were excellent. Very easy to work with. Received the pen in the mail, well packaged and protected. The first impression after removing the packing material was, WOW! The description and photos were top notch, but do not do credit to the actual item. Workmanship, colors shined, fit and finish are perfect. Exactly what I had in mind when the process started. Thank you Sir. 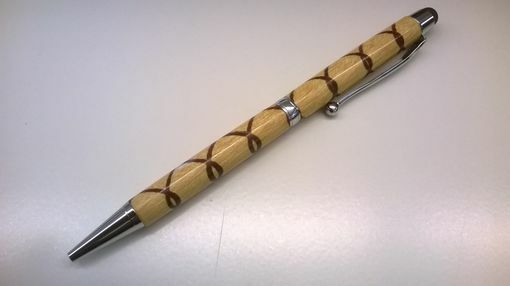 The perfect pen for everyday use with style and class. 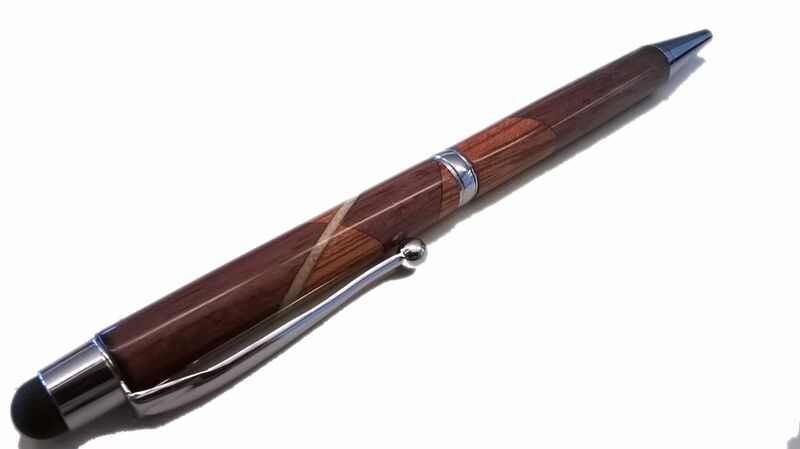 Each pen includes Chrome plated accents, a Stylus tip for tablet or smart phone, and completely uniquely created with select hardwoods. Browse the pictures of available styles or request something completely different. As an example, one wonderful customer wanted to capture a plaid design to honor family heritage and create a gift that will give over and over for years to come. 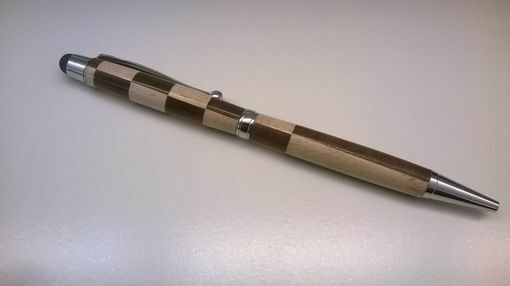 I can build you a pen or pen set with a piece of memorable wood such as from your grandfather's old barn, or re-purpose wood from a broken piece of furniture. 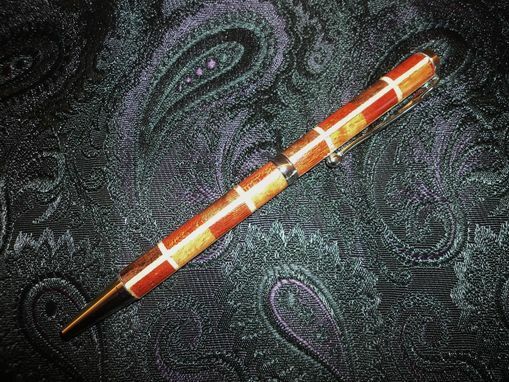 Purple your favorite color - Choose a single wood pen made from Purple Heart. 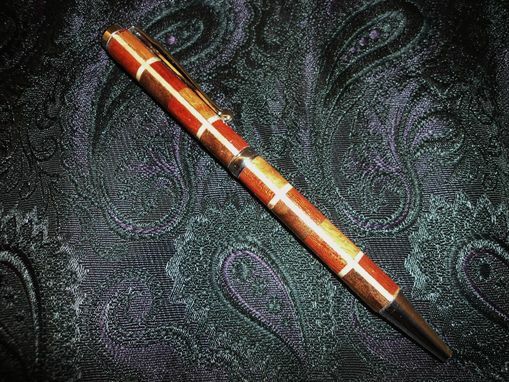 Like Red - Chose one created from Bloodwood. Yellow suit your fancy? - Chose one made with Satinwood. Prefer deep, rich, dark brown wood? 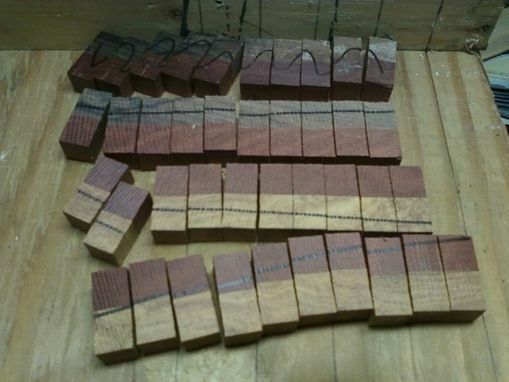 - Let me create you one made from Rosewood. 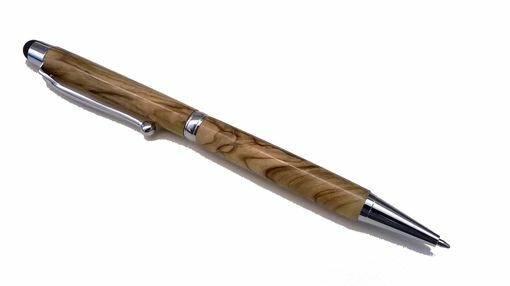 I create each and every pen one at a time; pouring out my heart and soul to ensure the perfect shape and perfect hand buffed, high gloss, rock hard finish. 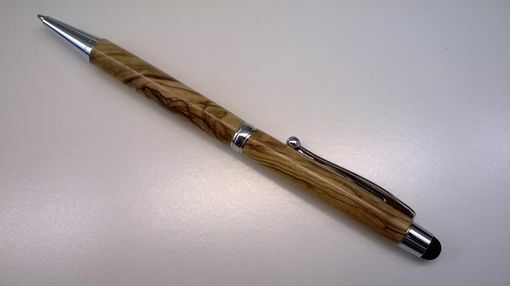 Prices start at $30 for a single wood species pen. 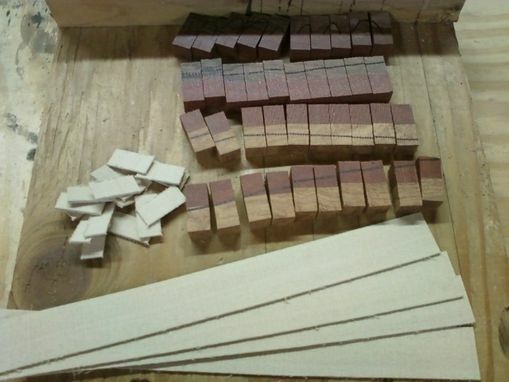 Multiple wood designs are priced based on complexity of the build. From my hands to yours! 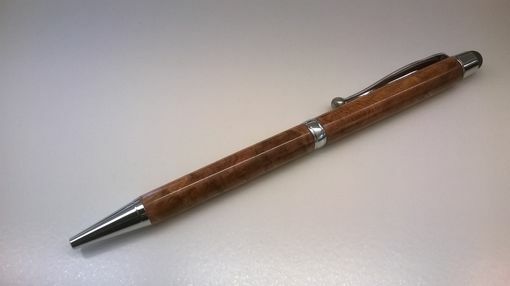 I requested a custom made wooden pen for my grandfather's Christmas present, and Randy did an amazing job, creating the pen and sending it to me at the speed of light! From the very beginning, Randy was helpful and friendly. He made the planning process easier for me by offering up his knowledge, experience, and expertise. He send images to clarify and update me on the project. He even got the pen to me before Christmas! (Which was a worry since I waited so long to contact him). Definitely would recommend working with him, he is a great dude and does amazing work!